Gain insight into what it's like to run Erlang / OTP in a business environment. Join a webinar and watch technical leads from companies that use Erlang describe their systems and answer your questions. Be the first to know about our upcoming webinars, signup to our webinar updates and we will let you know when the registration is open! There are a ton of techniques to come up with properties when doing property-based testing, but one of the most powerful ones is modeling. In this webinar, we'll quickly see how to use models for stateless and stateful properties. Fred Hebert is the author of Learn You Some Erlang, Erlang in Anger, and more recently, Property-Based Testing with PropEr, Erlang, and Elixir. He is a maintainer of Rebar3, and of libraries such as recon, pobox, vmstats, and backoff. Fred is a Systems Architect at Genetec, a company offering video systems, access control, case management, and IoT integration systems. Previously, he was a principal member of technical staff on the Heroku platform, worked in real-time bidding, and provided Erlang training. Genetec develops open-platform software, hardware and cloud-based services for physical security and public safety industry. Its flagship product, Security Center, unifies IP-based video surveillance, access control and automatic license plate recognition (ALPR) into one platform. Models are easy to get right for stateless properties. When stateless limits are hit, stateful properties are where models shine the most. Determinism and predictability are essential for good stateful models. Click below to register for Fred Hebert's webinar! You will receive confirmation from both GoTo (our chosen webinar platform) and from webinar[at]erlang-solutions[dot]com. If you haven't received these confirmation emails, please contact us on webinar[at]erlang-solutions[dot]com. If you can't make it on the day, we'll still send the slides and recording straight to your inbox. We've run many interesting webinars in the past and because we love to share - you can still view a few below or browse them all on our YouTube channel. Enjoy! Blockchain is a topic that’s talked about in every industry throughout the globe. It’s decentralized and secure nature makes it a great use case for future innovation and development. In order to leverage any blockchain architecture the end user needs to be able to verify data in a decentralized fashion and not rely on centralized entities such as Google to supply the information that sits on the blockchain. Andrew is the Project Lead for BlockScout, an open source EVM blockchain explorer by POA Network. POA Network is an Ethereum-based platform that offers an open-source framework for smart contracts. It is also a sidechain to Ethereum utilizing Proof of Authority as its consensus mechanism. This talk is about 16 things Joseph Yiasemides has learnt while working with Erlang and Elixir. Each one is presented as a short statement of the idea, side-by-side with a short example, and of course a discussion. Though much of it was inspired while working with Erlang and Elixir, some of these lessons are drawn from other functional programming communities, and beyond. The lessons are broadly applicable, extending not only to other functional languages, but also to the more mainstream languages. Joe built servers in Erlang and Elixir at Erlang Solutions (Kraków) on projects involving JSON/HTTP APIs, TURN/STUN, XMPP, and AMQP. He finished sabbatical leave at the Recurse Center in May 2017. Today he is going to Go, to learn its concurrency model, among its other peculiarities. 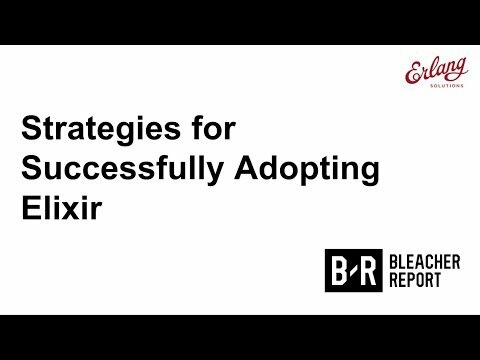 Learn how to successfully adopt Elixir with lessons learned by Ben Marx, software architect at Bleacher Report. Here, Ben talks us through not only implementing Elixir from a technical viewpoint, but how to successfully manage an Elixir team. He also lists a number of resources essnetial for any Elixir team. Ben is also the co-author of Adopting Elixir and co-organizer of the Erlang Elixir meet up in San Francisco. In his free time, he’s also programming in Rust. 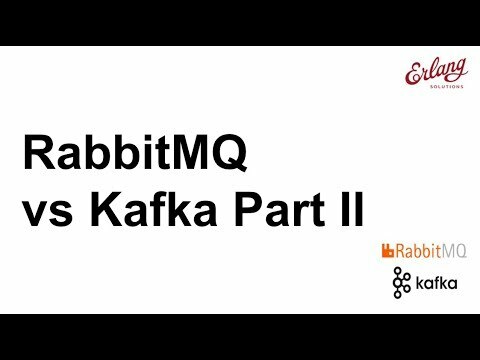 This is the second part of the RabbitMQ vs Kafka series with Jack Vanlightly as we continue dissecting these two mesaging platforms. Messaging is at the core of many architectures and two giants in the messaging space are RabbitMQ and Apache Kafka. In this webinar we’ll take a look at RabbitMQ and Kafka within the context of real-time event-driven architectures. 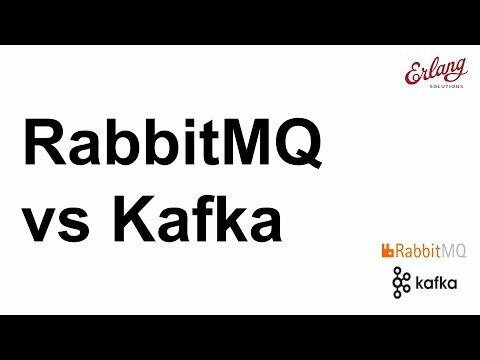 In this session we’re joined by guest speaker Jack Vanlightly who will explore what RabbitMQ and Apache Kafka are and their approach to messaging. Each technology has made very different decisions regarding every aspect of their design, each with strengths and weaknesses, enabling different architectural patterns. Jack Vanlightly is a software cloud architect based in Barcelona specialising in event-driven architectures, data processing pipelines and data stores both relational and non-relational. What is the essence of functional programming? How should I start learning a functional language? 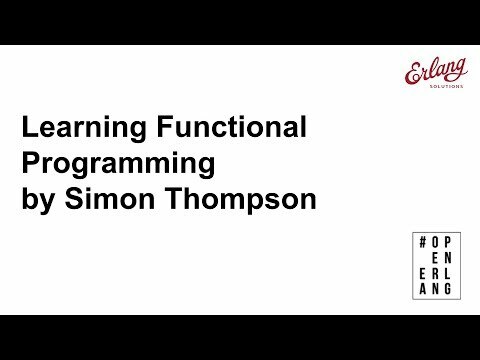 What are the main bottlenecks in learning functional programming? Researcher, author and teacher, Simon is based at the University of Kent (one of the UK’s leading departments of computer science.). His research spans far and wide, covering many aspects of functional programmin, including verification, tool building and testing for Erlang, Haskell and OCaml. He is an author on type theory, Haskell and Erlang, and run a MOOC on Erlang for FutureLearn. Jack Vanlightly is a software architect based in Barcelona specialising in event-driven architectures, data processing pipelines and data stores both relational and non-relational. 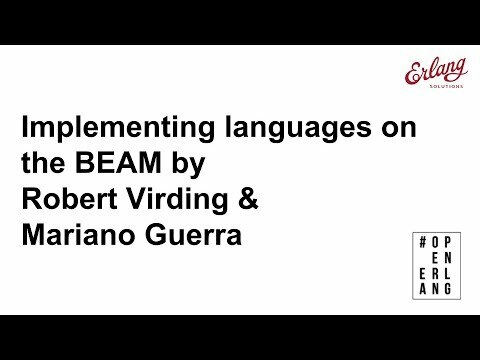 In this session, Robert Virding and Mariano Guerra provide us with a brilliant breakdown of how the BEAM languages compare across their influences, parsers, custom types, and more! We were guided through the wonderful world of languages on the BEAM. From Erlang and Elixir to newcomers like FEZ and the likes of Alpaca and Clojerl. Communication is a complex topic, especially in the context of healthcare. Nowadays we can find multiple applications that use a variety of external services with different levels of control over them. When deciding what to base your messaging solution on, you need to factor in everything from scalability, customizability and available support to the level of control over your services and strength of the community behind the product you’re choosing. When healthcare is involved, these deliberations require extra care. Forward is a modern medical app - an ambitious startup, with their fresh perspective in redesigning cutting edge technologies such as sensors, mobile, and AI for the purposes of healthcare. 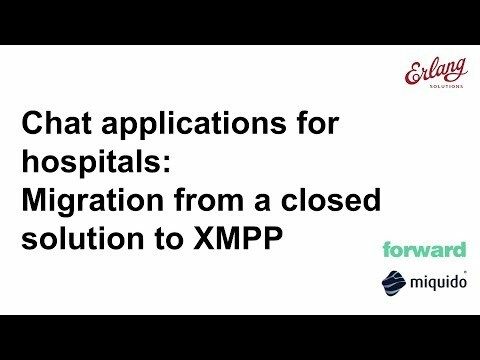 The webinar focuses on the challenges Forward, and their partners at Miquido, faced with their healthcare app implementation, and the considerations that made them migrate from SAS to XMPP. In this webinar we hear from Philip Mundy, the Founder and Co-CEO of Forward. He is joined by Miroslaw Szymanski, a Technical Lead at Miquido working on the Forward App, with experience working with Microsoft and Samsung as well as startups, and Ludwik Bukowski, an Erlang software developer at Erlang Solutions. 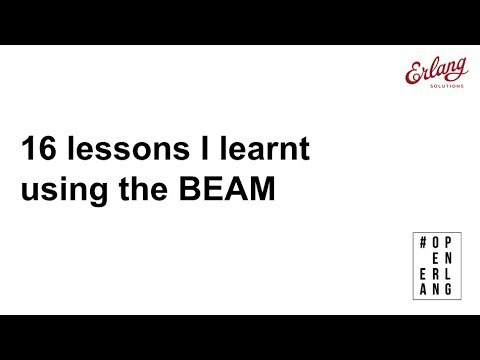 In this session, Erik Stenman introduces a new blockchain that is built in Erlang and Elixir to run on top of BEAM. He gives a brief introduction to blockchain technology and then present the æternity project and some of the features of æternity, such as State Channels and Oracles. Erik also talks about the execution of smart contracts on the blockchain, the whys and hows. The æternity smart contracts can be written in a functional programming language, and he explains how it currently is implemented in and some of the things he plans to do in the future with smart contracts. Erik “Happi” Stenman has been programming since 1980. As Head of Development, CTO and Chief Scientist at Klarna, Erik was responsible for the development and operation of Klarna Online, a system providing creative payment solutions to Internet shops. He also built up the engineering department at Klarna from the start. Happi is working as CEO and a consultant for HappiHacking alongside his work with æternity. In his limited spare time, Erik is writing a book about the Erlang Runtime system and programming board games and a board game engine for HappiStudios. æternity is a new blockchain technology, designed to deliver unmatched efficiency, transparent governance and global scalability. 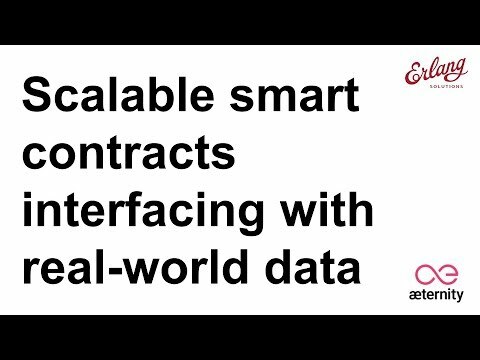 The æternity team provides the answer to current challenges in blockchain technology with scalable smart contracts interfacing with real world data. Riak is much more than just a database. In this webinar, we’re joined by Heinz Gies, who will take a look at some the components that it is built with and how they work together. As the central part of Riak, he focuses on riak_core, and directly connected libraries and components. Given the size of Riak’s codebase and time limitations, this webinar is not an exhaustive examination but enough to allow us to understand the underlying concepts. Heinz uses this new found knowledge to take a look at DalmatinerDB. DalmatinerDB uses some of the same components but swaps out some others. He compares how those design choices can lead to different tradeoffs and a very different system as a result. Some applications require really high throughput while other applications are publishing batch jobs that can be delayed for a while. The goal when designing your system should be to maximise combinations of performance and availability that make sense for your specific application. Bad architecture design decisions or bugs client side, can damage your broker or affect your throughput. Your publisher might be halted or the server might crash due to high memory usage. 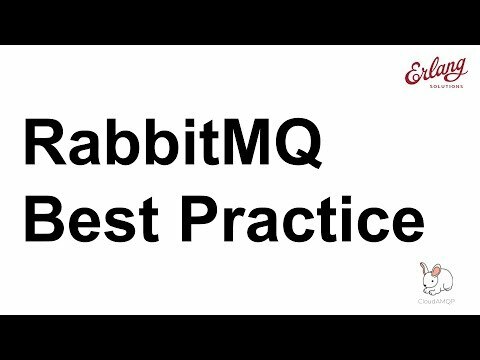 This webinar focuses on best practice for RabbitMQ. Dos and don'ts mixed with best practice for two different usage categories; high availability and high performance (high throughput). Carl Hörberg has been working with RabbitMQ since version 2.6. He launched CloudAMQP(RabbitMQ as a Service) 2012, which today is the industry-leading hosted service for RabbitMQ. Carl and his team know how to configure for optimal performance and how to get the most stable cluster. 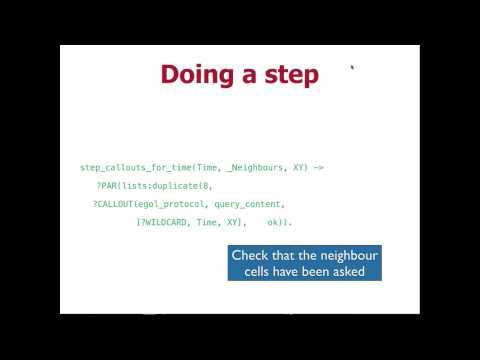 In this webinar, Carl shares his RabbitMQ knowledge. Post-Basho, the NHS is directly investing in a number of improvements to the Riak database. During the presentation we share an overview those enhancements which will include: improvements to anti-entropy and replication mechanisms; improved efficiencies with the Leveled backend; new ring configuration parameters. We are joined by Martin Sumner, Technical Consultant at the National Health Service (NHS) in England. Martin’s work focuses on designing and building systems for the NHS in different capacities, including providing the technical leadership of the large-scale Spine Core system, which is the central messaging and database solution for the NHS. 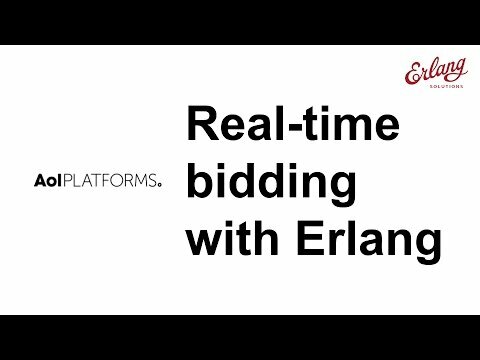 Learn more about Erlang Solutions’ Riak Support offering - consultancy and development as well as 24/7 global support for Riak KV, Riak TS, and Riak CS/S2. Smartphone messaging has taken over emerging-markets since the birth of Whatsapp in 2009. Peer-to-peer messaging grown in popularity and created new communication habits for the majority of consumers, especially in Latin America and Africa. Today, Business-to-Consumer messaging is transforming the way companies and individuals are communicating nowadays. Join our webinar where Carlos Sierra, Founder and CEO at Twnel, will share the lessons he learned during Twnel’s first 18 months of operation in Latin America, helping businesses use the power of messaging to connect with their networks of individual business partners. In this webinar, Alex Gounares, CEO at Polyverse, explains how Moving Target Defense can be applied to make container environments impenetrable. Currently, security teams try to defend static infrastructure by trying to predict, detect, analyse, investigate and remedy attacks. This is expensive, time consuming, unwieldy and, moreover, ineffective. Moving Target Defense continuously changes the attack surface so hackers do not get a chance to decipher the environment and therefore cannot launch an attack. Alex explains how applying dynamic diversity through code scrambling and container cycling provides intrinsic protection for container environments. 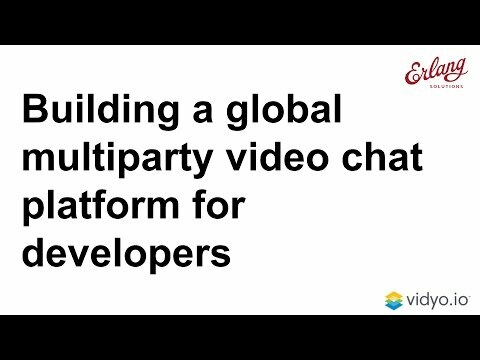 Nic Reid, SVP Product Management at Vidyo, discusses the barriers faced when building a developer platform that delivers real-time multiparty video. Bleacher Report, a division of Turner Sports, is the second largest sport website in the world. At peak times they deliver over 1.5 billion page views per month and serve over 200,000 concurrent requests to their mobile apps alone. Join Dave Marks, Sr. Director of Engineering, and Ben Marx, Lead Engineer as they review the how and why of porting Bleacher Report’s most critical apps from Ruby to Elixir. They’ll highlight the initial challenges of adopting a young and unfamiliar language through the benefits realised having run Elixir in production for the last year and a half. 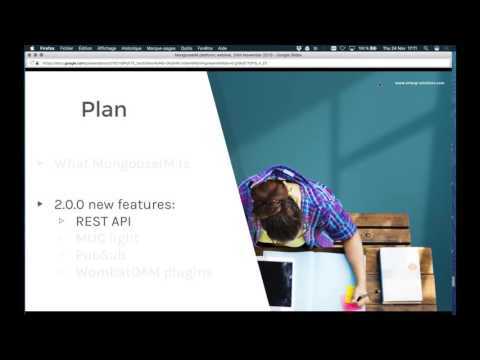 MongooseIM is a full-stack, real-time, mobile messaging platform. It is one of the most scalable XMPP servers out there and the 2.0.0 release has a strong mobile focus. The version is equipped with support for several features of the XMPP protocol, offering practical solutions to customer problems. With extended REST API, MUC Light and PubSub MongooseIM opens a wide range of possibilities in the real-time application space. Nicolas Verite - MongooseIM Product Owner and Ludwik Bukowski - MongooseIM developer will talk you through the new features of the platform and how they make the wonders of XMPP available to developers all around the world. The Grand National is the gambling industry’s Black Friday. Join the webinar on 12 May at 4pm BST (10 am CDT, 5pm CET) to hear how bet365 successfully met demand on the busiest day of the sporting calendar by supplementing their transactional systems with distributed middleware services written in Erlang. 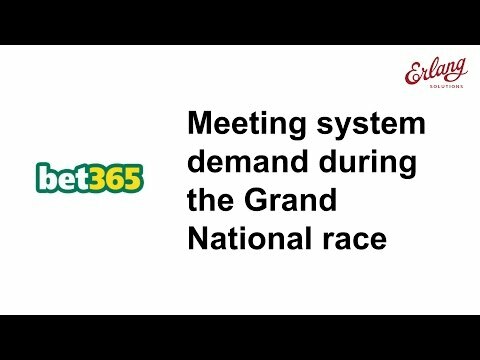 Andrew Deane - Systems Development Manager for Middleware at bet365 will be telling the story and answering your questions live. Real Time Bidding (RTB) revolutionised online advertising by offering unparalleled targeting and cost efficiency to buyers and helping web site publishers maximise revenue. ‘Your call is important to us, please hold…’ What does Erlang have to do with the most hated words in the world? The first encounter with Erlang is often a tough one since The Golden Trinity of Erlang - share nothing processes, fail-fast and failure handling - provides a mix of features not found in other languages. We will spend most of this webinar looking at how to design systems with asynchronous message passing between processes that do not share any memory. Data centre servers utilization average between 6 to 12% – the most efficient utilization barely touches 35% (at Google). When faced with a computing problem, companies just put up more servers to cater to the workload, instead of running the machines the company already has at higher utilization. This short-term solution results in ever-increasing energy consumption and escalating costs of operations. How to tackle this tremendous waste of resources? 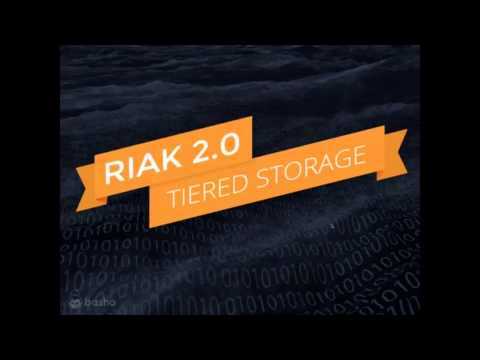 Join Basho Product experts as we take a deep dive into the Riak 2.0 features and capabilities. Elvis is an Erlang style-checker written in Erlang that you can run in your console or integrate nicely in your github projects. Erlang Solutions invites you to join our next webinar featuring Brujo Benavides (Inaka’s CTO). 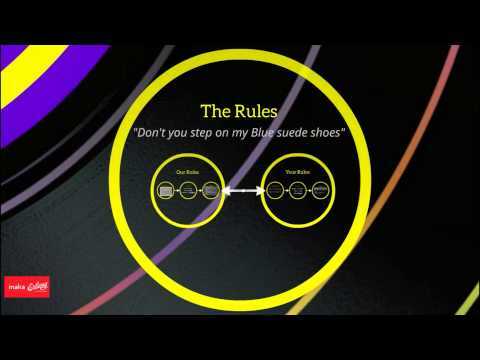 He’ll present an overview of Elvis, he will let you how it works and how it was built. He will also open the discussion about Erlang Guidelines and code styles. 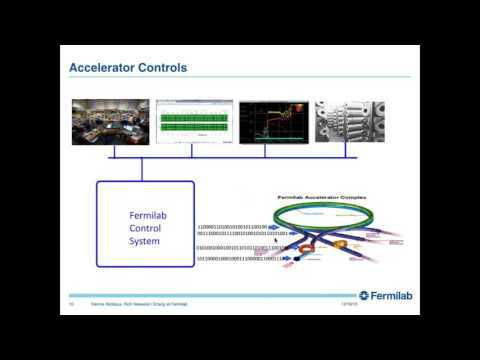 Fermilab is America’s particle physics laboratory. In this webinar, scientists Dennis J. Nicklaus and Richard M. Neswold will describe how Erlang is used in controls applications of particle physics research. They will provide an overview of some of the scientific experiments ongoing at the lab and the accelerator infrastructure which provides beam to those experiments. They will show where the Erlang-based components fit in the accelerator control system, including a framework for accelerator controls data acquisition and a data pool manager for control system client data requests. They will delve into the data pool manager more deeply to illustrate why Erlang was an excellent choice for this application, and show features of Erlang that expand the capabilities of the data pool manager. Join us on 16 Dec at 17:00 GMT (11:00 CST; 9:00 PST). Sqor Sports is a sports social network that connects 2000+ current and former athletes with their fans. 75% of Sqor Sports users are mobile, so highly reliable iOS and Android apps are crucial. Erlang Solutions’ mobile branch Inaka took on the challenge of fortifying Sqor Sports legacy apps/servers, creating new features, and architecting the migration to scalable and more reliable solutions. One of the project’s highlights is the unique chat feature Inaka developed in the mobile app from scratch. Beyond the technical demands, this project presented unique logistical challenges, as it required a combined team of experts from many disciplines to work from four locations, over three time zones. On April 7th at 12:00 noon PDT (8 pm BST, 9 pm CET) Sqor Sports project lead Chuck Pinkert and Inaka senior project manager Tatiana Oudine will talk you through the challenges faced and the lessons learned in this project. Join us to ask the speakers your questions. Sportrisq are a broker and distributor of risk management solutions and products to the sports industry. Sportsrisq’s core platform is written in Python; however, as a result of Python’s poor threading model, they were experiencing issues with certain low- latency components within their stack. In this webinar Sportsrisq’s CTO Justin Worrall will describe the process of migrating two of those components to Erlang; the underlying problems involved, the perceived benefits of Erlang in those situations, the decision making process, the application designs and the results. Researcher, author and teacher, Simon is based at the University of Kent (one of the UK’s leading departments of computer science.). His research spans far and wide, covering many aspects of functional programming, including verification, tool building and testing for Erlang, Haskell and OCaml. He is an author on type theory, Haskell and Erlang, and run a MOOC on Erlang for FutureLearn. Bleacher Report, a division of Turner Sports, is the second largest sport website in the world. At peak times they reach 80 million unique users per month and serve over 100,000 requests per minute to their mobile apps alone. Dave Marks, Sr. Director of Engineering, and Ben Marx, Lead Engineer review the how and why of porting Bleacher Report’s most critical apps from Ruby to Elixir. They’ll highlight the initial challenges of adopting a young and unfamiliar language through the benefits realised having run Elixir in production for the last year and a half. 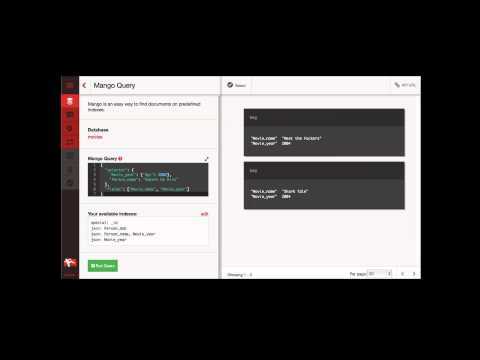 MongooseIM is a full-stack, real-time, mobile messaging platform. It is one of the most scalable XMPP servers out there and the 2.0.0 release has a strong mobile focus. The version is equipped with support for several features of the XMPP protocol, offering practical solutions to customer problems. With extended REST API, MUC Light and PubSub MongooseIM opens a wide range of possibilities in the real-time application space. This is a major step in making the wonders of XMPP available to developers all around the world. 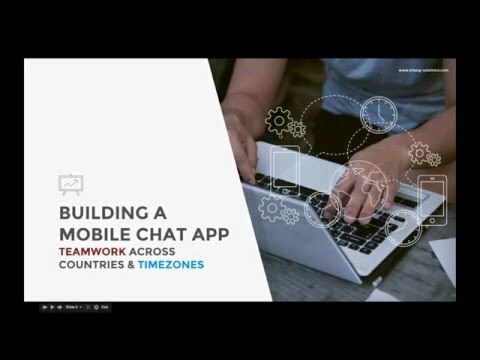 In this webinar Nicolas Verite - MongooseIM Product Owner and Ludwik Bukowski - MongooseIM developer talk you through the innovative extension for contemporary and simpler group chats and the new Publish Subscribe module for real-time non-chat applications, parallelised tests and REST API, both for backend integration, and for client/server development. The Grand National is the gambling industry’s Black Friday. In this webinar Andrew Deane - Systems Development Manager for Middleware at bet365 tells the story of how bet365 successfully met demand on the busiest day of the sporting calendar by supplementing their transactional systems with distributed middleware services written in Erlang. Cloudant, a managed database service powered by Apache CouchDB, is one of the foundational services offered in the IBM Cloud. In this talk we’ll explain why CouchDB makes so much sense as a cloud service, and how the decision to use Erlang has paid dividends across Cloudant’s development and Ops lifecycle. We’ll close with a preview of some of the new capabilities that are landing in CouchDB 2.0, and share some lessons we’ve learned growing and maintaining a vibrant open source community. ‘Your call is important to us, please hold…’ What does Erlang have to do with the most hated words in the world? Join the webinar to find out how Virtual Hold Technology (VHT) embraced Erlang development and implementation in the contact center technology industry. Brian Ward Principal Software Developer from VHT will share the unique opportunities and challenges of leveraging Erlang’s nature to provide fault tolerance and client multi-tenancy across a cluster of servers and the ability to provide a primary/secondary failover configuration allowing for seamless transition of phone calls in the event of a hardware failure. Virtual Hold Technology (VHT) invented and patented the call back - computer telephony integration to reduce call center operation expense by virtualizing customer hold-time. The company began twenty years ago and has grown to just over one hundred employees, with thirty software developers. In 2013, Erlang was recognized as a promising fit and since then together with Erlang Solutions VHT realize the promises of the Erlang/OTP. Software Engineer - Basho Technologies, Inc. 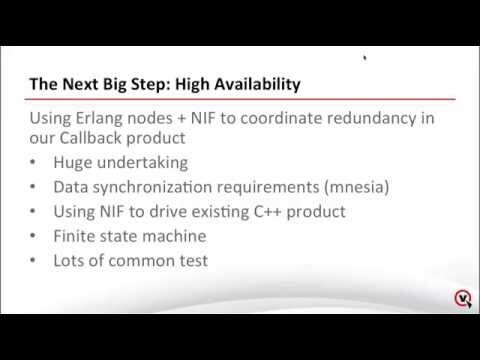 If you find Erlang is a bit tough, or if testing gives you headaches, this webinar is for you. We will spend most of this intensive session looking at how to design systems with asynchronous message passing between processes that do not share any memory. Since processes are so cheap to create in the Erlang run-time, one has to embrace designing with lots and lots of processes, which puts an emphasis on the interaction between the processes. For this we will look at Message Sequence Charts (MSCs) and enjoy how the protocols we designed are easy to identify in the code. As testing asynchronous message passing can be a bit tricky, you will get a short intro on how to do that with QuickCheck’s mocking facilities, and touch briefly on failure handling and how that influences the design of Erlang programs. The running example is Conway’s Game of Life, which fits Erlang really well and poses some interesting problems in the implementation, that apply to all asynchronous message passing solutions. Torben Hoffmann is CTO for Erlang Solutions. He has been active in the Erlang community for several years and has spoken at conferences world-wide. His first big Erlang related project was the introduction of Erlang as a technology to write a gateway in for Motorola Solutions in Denmark. Torben studied Engineering at the Technical University of Denmark. Data centre servers utilization average between 6 to 12% – the most efficient utilization barely touches 35% (at Google). When faced with a computing problem, companies just put up more servers to cater to the workload, instead of running the machines the company already has at higher utilization. This short-term solution results in ever-increasing energy consumption and escalating costs of operations. How to tackle this tremendous waste of resources? Sardina Systems could raise utilisation from 15% – 45%, in a 55,000 server data center with 16% workload growth, saving $10 million in energy OpEx annually and $600 million in CapEx over 4 years. Their solution is FishDirector – the world’s first energy-optimizing and utilization improving OpenStack management and automation system. 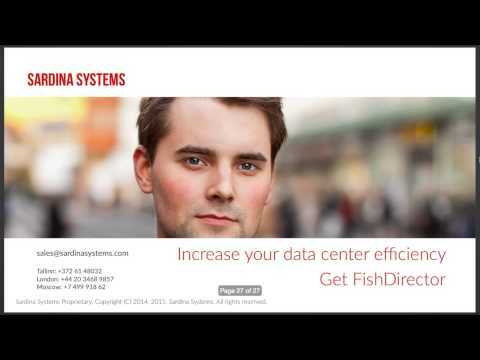 FishDirector supports the OpenStack platform and has been selected as the solution for managing a record data center with up to 150,000 VMs (in production). It provides the resource management and pluggable architecture for enabling a wide variety of automation and data access methods, in a scalable, fault-tolerant manner for data centers, improving data center utilization and lowering costs. Join Dr. Kenneth Tan, Technical Solutions Director of Sardina Systems, for an insightful discussion about the challenges of optimizing server utilization. Fermilab is America’s particle physics laboratory. In this webinar, scientists Dennis J. Nicklaus and Richard M. Neswold will describe how Erlang is used in controls applications of particle physics research. They will provide an overview of some of the scientific experiments in particle physics ongoing at the lab and the accelerator infrastructure which provides beam to those experiments. They will show where the Erlang-based components fit in the accelerator control system, including a framework for accelerator controls data acquisition and a data pool manager for control system client data requests. They will delve into the data pool manager more deeply to illustrate why Erlang was an excellent choice for this application, and show features of Erlang that expand the capabilities of the data pool manager. Join us on 16 Dec at 17:00 GMT (11:00 CST; 9:00 PST). In this webinar Sqor Sports project lead Chuck Pinkert and Inaka senior project manager Tatiana Oudine talk through the challenges faced and the lessons learned in this project. 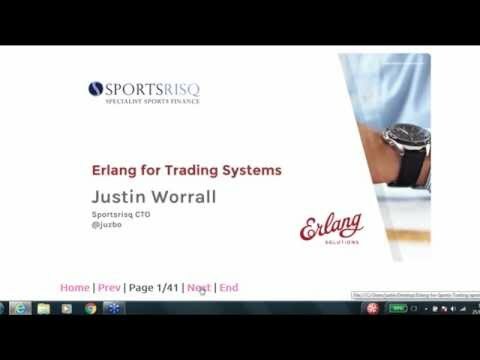 In this webinar Sportsrisq’s CTO Justin Worall describes the process of migrating two of those components to Erlang; the underlying problems involved, the perceived benefits of Erlang in those situations, the decision making process, the application designs and the results.